Jerm Kqi Smesi Jerm KqiHave a short qns here! Oh yea never thought of that haha Thanks alot mate! [quote=Jerm][quote=Kqi][quote=Smesi][quote=Jerm][quote=Kqi]Have a short qns here! What is the command to change the killfeed fade time? zeFrostyWhat is the command to change the killfeed fade time? Pretty sure you can't change the fade time. On some HUDs, for example rayshud, the fonts are sometimes cut off, for example the 2 in the health. Is there a fix for this? What should I change on MainMenuOverride to have the contracts and news buttons? Also, how can I have different colors for low and buffed HP while spectating on tournament mode? I want to make my Static Damage numbers Green when healing and Yellow when dealing damage. I've been unable to find what to rename my vtf and where to put it to change the loading screen image (I know how to change the main menu bg) so if anyone knows how, thanks! On top of this I also wonder if anyone here knows how to add the matchmaking button (ie in Yaya_hud), I can add the button but it just displays the depressed click audio and doesn't take me tp the page. Finally I haven't been able to fix on the contracts drawer, the numbers not appearing (the contract points and number of contracts complete) in the orange bar at the bottom. edit 2 - To edit the background on the loading screen between servers, you go to StatSummary.res, if anyone knows the other answers i'm still looking. MightyI want to make my Static Damage numbers Green when healing and Yellow when dealing damage. I believe its impossible, both the values are counted under the same fieldname. [quote=Mighty]I want to make my Static Damage numbers Green when healing and Yellow when dealing damage. This is not a HUD editing question, but it doesn't deserve it's own thread. Where can I find the most recently updated version of m0re's HUD? MightyThis is not a HUD editing question, but it doesn't deserve it's own thread. [quote=Mighty]This is not a HUD editing question, but it doesn't deserve it's own thread. How can I disable healthbars above teammates that appear when spectating? shorasHow can I disable healthbars above teammates that appear when spectating? No1inPartiqlar shorasHow can I disable healthbars above teammates that appear when spectating? Only removes those that appear when spawning. Maybe i'm incorrect but I though this in the advance options - [img]http://imgur.com/ooYTrQm[/img] got rid of it. The numbers of contracts done and contract points in the contract menu are missing. Where can i find the file where they are located? Hello friends, bit of a longer question here but didn't think it was worth making a new thread over. 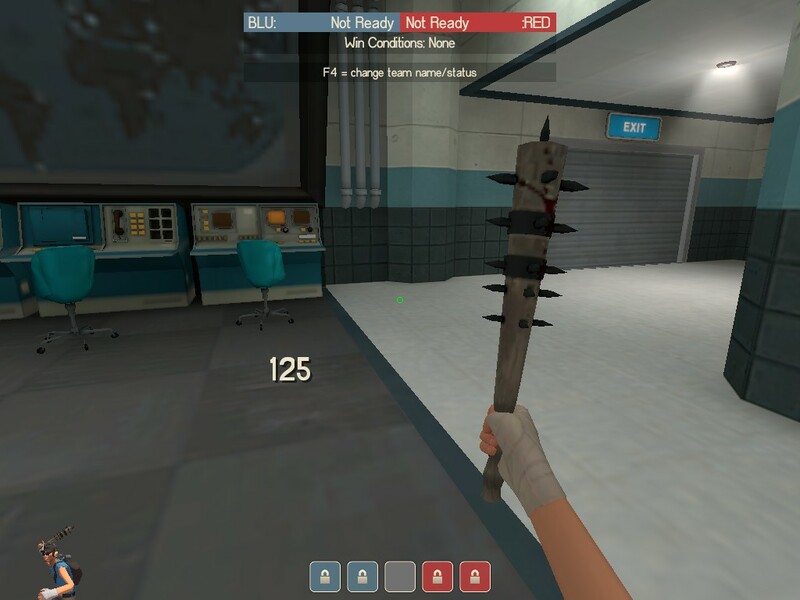 I'm trying to make the vaccinator charge bar work on my edit of the pvhud medic chargebars and would be great if someone could help me out or at least point me in the right direction. I played around with the chargemeters in hudmediccharge.res but couldn't make it work properly as it would charge the entire length of the bar for 1 uber instead 1 uber per section. Basically, I want to move the thing in yellow and also delete the things in green. How can I remove that white bar from hudtournamentsetup? What's the best way to add a team indicator? atm I'm using the background of the 3d player model but having that on lowers your fps and I'm pretty sure I had team indicators before 3d player models were a thing. Also how do I bind keys to do stuff. eg I currently have q back out of any menu and e open the edit loadout menu for a class while I'm hovering over it in class select. JBHow can I remove that white bar from hudtournamentsetup? 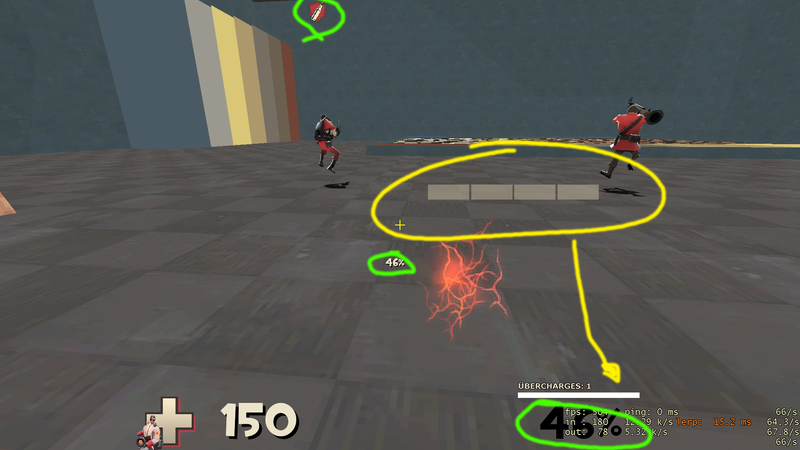 deetrWhat's the best way to add a team indicator? atm I'm using the background of the 3d player model but having that on lowers your fps and I'm pretty sure I had team indicators before 3d player models were a thing. deetrAlso how do I bind keys to do stuff. eg I currently have q back out of any menu and e open the edit loadout menu for a class while I'm hovering over it in class select. 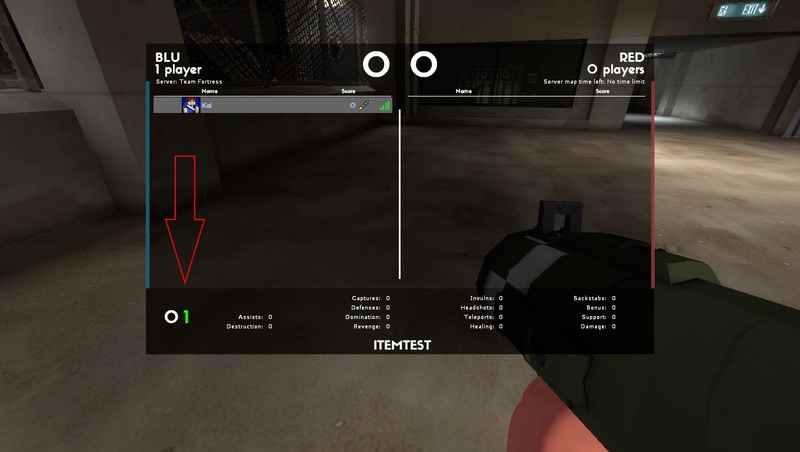 [quote=deetr]What's the best way to add a team indicator? atm I'm using the background of the 3d player model but having that on lowers your fps and I'm pretty sure I had team indicators before 3d player models were a thing. 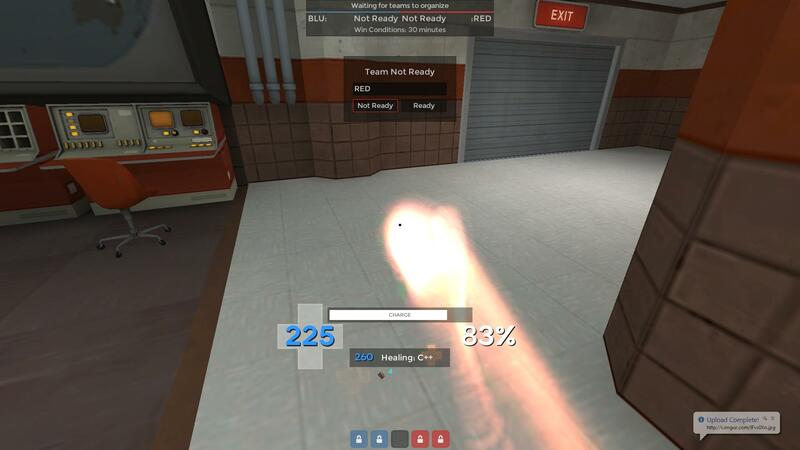 (which requires custom textures from the materials/replay/thumbnails folder of - http://huds.tf/yayahud/) within the panel bounds of any hud file to make it appear, hudplayerhealth is ideal as it is permanently on the screen. If you want to edit panel bounds you can find most panels defined in scripts/hudlayout.res but some are within their unique resource folder. To check the panel bounds you can go into a private server, turn sv_cheats to 1 and then type vgui_drawtree 1, and then tick highlight selected and it will put a red border around the panel of the element. Extracrispy explained it well, I just thought I'd elaborate on the idea. Extracrispy explained it well but in more detail- you can put a team coloured bg such as [code]	"classmodelpanelBG"
bump for this. It seems that all text in game in the hud is tilted slightly. The letters in the font files are all aligned properly. also, does mac osx tf2's font rendering differ from linxux tf2's? i dont have a machine running osx to test this on. The freeze panel weapon display (the item you were killed by) likes to randomly place itself vertically and oftentimes part of it displays outside of the screen. Is there a way to make this panel work like all the other inspect panels that always keep a 10px spacing from the boundry? I am using the basehud freezepanel_basic itempanel and respective freezepanel hudlayout entry. Side question, has anybody done a poll in this community to determine what resolution everybody uses? extracrispy JBHow can I remove that white bar from hudtournamentsetup? I even copied a hudtournamentsetup.res from an other hud and replaced the elements with my huds elements and the white box was gone, when I restarted the game the next it was back. installing an old vabe hud. I want to have the bar from hudas Iscariote on my rayshud but cant seem to get it working correctly. 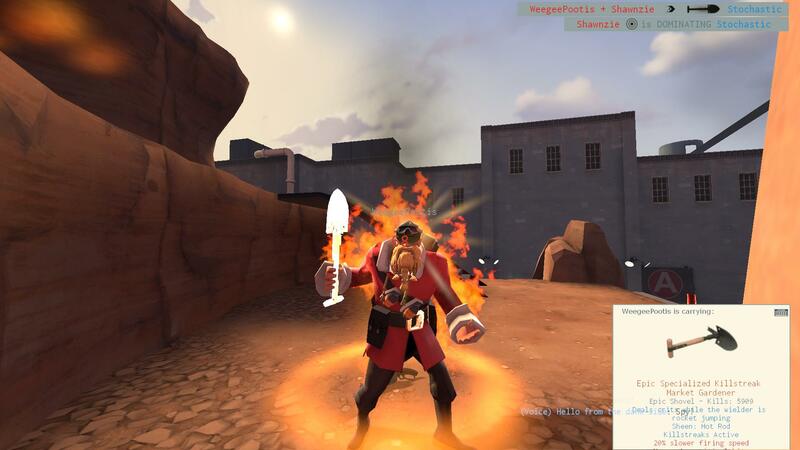 Basically I want that bar to show up when I am a spy looking at the medic making undercharge easy to see. I tried editing it but can only get it as a solid white square. If someone that knows how to do it please tell me exactly what I need to do.